You probably think you don’t have enough time to follow your passion. You may have a family, a job, kids and other obligations to tend to. I’m going to be blunt and say that there is always time for something you want. The issue doesn’t lie in time; it lies in how you prioritize your time. You can use time as an excuse, but at least be honest with yourself. Don’t fool yourself into thinking that you will follow your passion if you aren’t willing to spend at least a few hours on it every single week. If you’re working, chances are that you spend a lot of time commuting. This gives you an excellent opportunity to listen to audio books and any material that you can carry with you. Just one hour a day can make a big difference in your life in the course of a year. If you’re on a bus, train or car (without driving), you can print and read articles. You could even bring your laptop with you. Think about the people who have succeeded in living the way they want to live. They did everything they could to find these small time pockets in their life. Sufficient preparation will allow you to take advantage of small time pockets throughout the day. Think about all the time you waste waiting for someone or something. Individually each time pocket doesn’t seem significant, but add them together and you’ve got something to work with. Your lunch break is the perfect time to work on your passion. To really get full mileage out of this, plan what you’re going to do ahead of time, otherwise you may end up wasting your time on stuff that doesn’t matter. After you get home, get everything in order and prepare to work on your passion project for a few hours. Tell your family that you need some alone time. Making this work will take a lot of effort and sacrifice. I realize that it is harder when you have a family, but there are people out there who have done it. In the end you have to think about what you want. If you really want this, you’ll find a way. Let’s face it, TV is a huge waste of time. Sure, it’s entertaining, but after you’ve watched what you intended to watch, you often end up sitting there zapping mindlessly for hours. Most people come to me and tell me they don’t have time. I ask them how much TV they watch, and they almost always tell me that they watch at least a few hours a day. If you’re watching TV and complaining about not having enough time, you really need to take a closer look at your priorities. Surfing the web is as addictive as watching TV. I am, of course, talking about unnecessary web surfing, and not the educational kind. You may start off reading a news story, but end up wasting hours watching kittens and puppies on YouTube. Be disciplined about how you use your time. Give yourself time to have fun, but don’t let it take over. We all waste way too much time checking and replying to e-mail. I’m guilty of this myself, but I still get stuff done, so it isn’t a huge problem for me. Whenever I have a big project to work on, I shut everything down and focus on it until I am done. Close your e-mail program when you’re at the computer and create a habit of only checking your e-mail once or twice a day. If someone needs you, they will call you. You do not have to be available 24/7. There is no urgency. You may think that news is an essential part of your life, but it really isn’t. The news is often negative and manipulated to promote an agenda. If you don’t need to read the news because of your job then just give it up. It may feel important. Trust me, it isn’t. 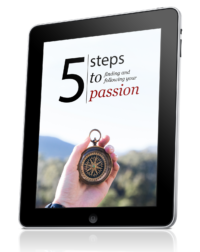 Instead of watching, listening, or reading the news, you can work on building your passion business. I’m guilty of not planning enough, but I am still productive in my own way. In the end, you have to find your own groove. It is still essential to plan what you’re going to do and when you’re going to do it. When you plan, you allow your subconscious mind to prepare, which means you’ll have a much easier time getting things done, and you won’t end up wasting time. If your friends and family are constantly asking you to do stuff, learn to say no and tell them you need some time to work on your own stuff. It’s easy to get caught up in other people’s lives, but realize that if you do not take care of yourself, you cannot take care of anyone else. If you improve yourself, you will affect others, which in turn affects the whole world. You don’t have to socialize every single day. Get rid of a few days of socializing and use that time to do you know what ;). I’m not a huge fan of waking up early. One of the reason I became an entrepreneur was so I could sleep as long as I wanted. That said, if you’re low on time, you may want to look into waking up an hour or two before you go to work. That’s the quietest time of the day, and you will be able to work in a virtually distraction-free environment. This can be dangerous, because you don’t want to eliminate recreation completely. You have to find a balance. You can almost always reduce recreational activities and gain a few hours per week. Whenever possible, do tasks of a similar nature together. If you need to make five phone calls today, do them all at once. Need to e-mail people? Do it when you’ve got 50 e-mails waiting and get them all out of the way. Batching tasks eliminates the amount of time it takes for your brain to prepare. Switching tasks slows you down, so do them together as much as possible. How long does it take you to mow the lawn? How long does it take you to do all the things you don’t really have to do? You can pay the kid down the street a few bucks to take care of many household chores for you. Look at all the things that take up time and think about how you can delegate them to someone else. Stop buying things you don’t need. We all do it. I used to do it a lot more than I do now. You only need food and water. Going shopping for clothes can be postponed. If you need food, only go once a week and stock up. You don’t have to go to the store every other day to buy a few things. Batch! You can almost always negotiate with your boss and leave work earlier. If he’s smart, he’s only going to care about your level of productivity. Show him you can make it work. If you present it in the right way, he can’t say no. Stop accepting excuses from yourself. Excuses can always be overcome. If you think something is standing in your way of living the life of your dreams, you’re wrong. The only thing in your way is you. I’ve given you 17 tips on creating more time. If you still come up with excuses, you may want to examine if you really are serious about this. Just using a few of the tips above will give you several hours per week to work with. One step at a time, eh? 😉 Thanks for commenting! There is always a way to make time if you really want it, and it surelly helps to read someone´s tips on it to start on different fronts. If something is important, you’ll make time for it! I also discovered that you can find a lot of time available to listen to audiobooks. Even if you drive 10 minutes now, 10 later and so on, in a few weeks you will accumulate a lot of extra time to listen to audio and learn more. Batching tasks also saved me a lot of time and made me more time available for what I like to do. Yup. Having something to listen to, or do when you’re driving or commuting can end up being a lot of time during a year. When I am working on my passion time flies by!! I’ll come home from work, make dinner, start work on one of my passion (blogging, reading, learning, editing videos, dream booking) around 5:30 and the next thing I know, I look up at the clock and it is 9:30 already! I hardest thing for me to change was turning off the TV – that is the physical act of turning it off. Once it is off, it was hard for me to turn it back on. Very true and pragmatic, Henri. Time will expand OR contract to accommodate you. The old cliche is a cliche because it is true: where there is a will there is a way. If we really mean it we will find the time… no excuses. A transcendence of ‘discipline’ occurs when we are passionate… then there is only that which needs to be done. It’s a loud and busy place this “modern life”. When I let go – I gain what I need. It’s the “letting go” part that gets a bit tough. Am I grown-up enough to be content with my “now” in order to grow my “tomorrow?” Or do I feel the need to have more “now”?? Right now. . . I have this moment, and I have used it – to think. The more things go to the extremes, the better, because we get to realize what’s truly important. Thanks for being here, Michelle! Another one I personally find very effective is to form a habit of decluttering a small part of your life everyday. I started from just picking up a loose paper from the floor at first. Great post. Your tips are right on the money. Quite practical as well. Smart work. Thanks. I have found I can be more productive and efficient by refusing to be a “social butterfly” anymore. People I know complain about it–and resent that fact–but to tell you the truth, I have been able to get a lot done that way. I am spending more quiet time, alone, and getting to know my own self has been a life-altering experience. I have managed to shut off distractions because I really don’t need the “negative externalities” in my life. This allows me to focus on my priorities with single-minded devotion and I am able to tick a lot off my to-do list. Waking up earlier has been a godsend, since I can get so much more done during these golden hours. I have also discovered that I like to work alone and in a quiet and peaceful environment. Being free of noise and clutter has helped me to focus better. Cheers.